Today I’m sharing with you such an awesome braid, that would be perfect for everyday wear as well as for special occasions. It looks like a braided fringe, isn’t it? To recreate the look you better start with volumized with mousse or spray second day hair. 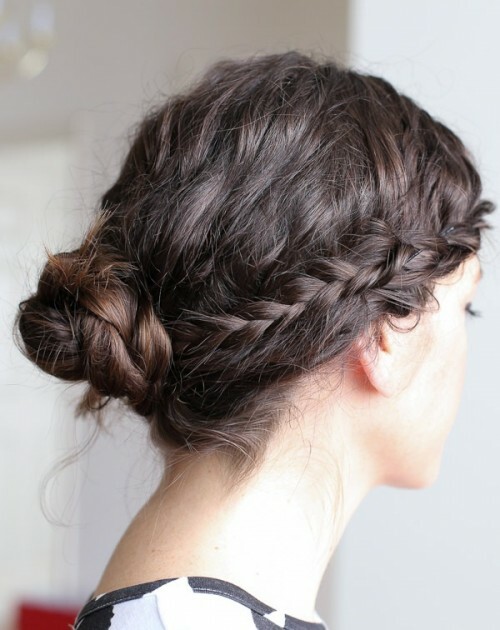 Create a deep part on your hair and from near the back of your hair french braid a small section forward. 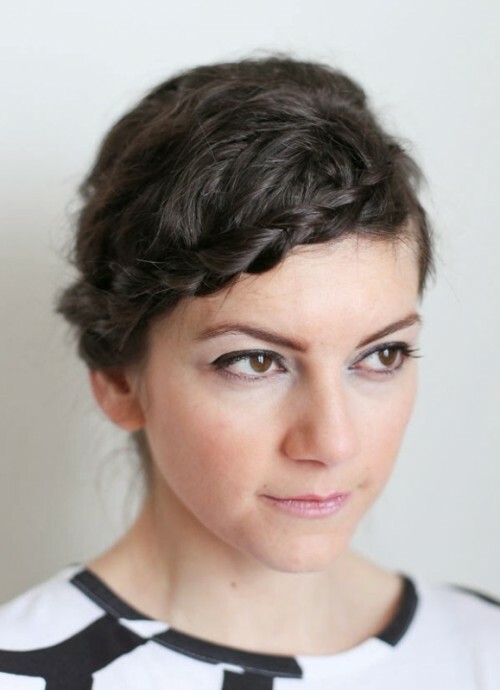 Once you reach the front, start french braiding your hair down the side, taking sections of hair from the front. As soon as you reach your ear, stop french braiding and braid the section of hair all the way down. Pin your braid around your head in the back. Twist the other side, make the ponytail and braid it and wrap it into a bun. 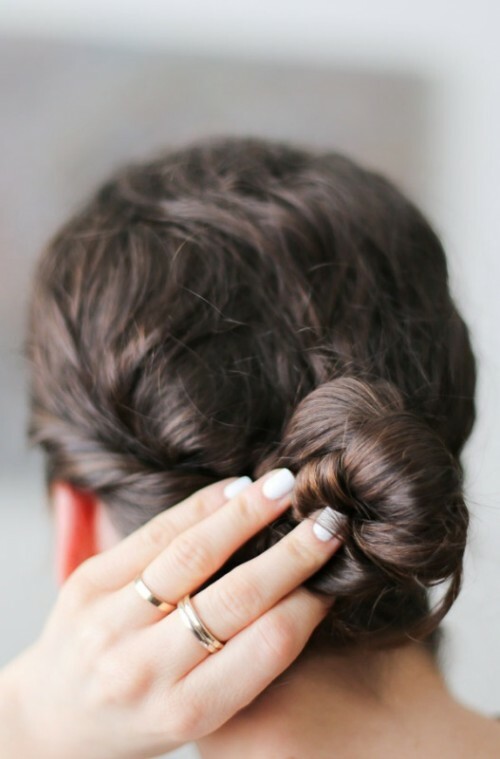 Pin the bun in place and then separate braid in the front. Mist with finishing spray. Voila!